Cape Creek and Crocodile Pool: Grey Kestrel, Senegal Kingfisher, Blue-breasted Kingfisher, Yellow-throated Longclaw, Moho, Bearded Barbet, and Striped kingfisher. Tanji Bird Reserve: Collared Sunbird, Viellot's Barbet, and all sorts of Terns. Bund Road: Black Heron, Sacred Ibis, Abyssinian Roller, Pink-backed Pelican, Caspian, Royal and Lesser-crested Tern, Blue-cheeked Bee-Eater. Lamin Rice Fields: Fine spotted woodpecker and Viellot's Barbet. Brufut Forest: African Fruit Pigeon, Milky Eagle owl and Brubru Shrike. Yundum: Temmicks Courser, Dark Chanting Goshawk, Red-necked Falcon. Marakissa Rice Fields: African Jacana, Painted Snipe, Grey-headed Bush Shrikes. Pirang Rice Fields and Fish Ponds: Black-crowned crane and Plain-backed Pipit. Koto Stream, Golf Course, Sewage Works: Pied Kingfisher, Great white Egret, White faced Tree Duck, Malachite kingfisher, Black-headed Plover, Wattled Plover, Green-backed Heron, Double-spurred Francolin and African Golden Oriole. Abuko Nature Reserve: Green-crested and Violet Touraco, Hammerkop, Giant kingfisher, Night heron and Lizard Buzzard. Some of the species you might expect to see at each of the sites will obviously depend on the time of the year, but a keen group working the coast and up country could reach over 280 species in 2 weeks.
" 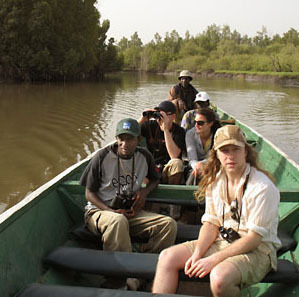 I spent a week in The Gambia during Jan 2008 and hired Modou Barry as a guide for my mum and myself who are keen birders and wildlife enthusiasts. During this week we spent four mornings (and one evening) birding with Modou and wished we could have spent more. Modou is a polite, friendly and professional guide who provided a wonderful service, which included comfortable transport to our destinations, and most importantly a good local knowledge of current sightings. We covered every notable location in the Banjul coastal area: Abuko Nature Reserve, Kotu Sewage Ponds (a lot nicer than they sound!) and Creek, Brufut Forest and several walks around local farmland where we never would have known to go without him and were full of different birds. 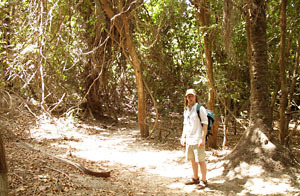 It was enjoyable to spend time with Modou exploring The Gambia and experiencing the country in a way in which most people never do (that don't venture further than their hotel and the beach or organised tours via their holiday company); and productive as we saw 139 species of bird in total and it could easily have been more with a little more time to do some return trips so places such as Abuko or Brufut or maybe to go a little further afield. 2 night / 3 day (Tendaba) or 3 night / 4 day (Tendaba and Basse) 'Bird Trek' up-country, including all the best spots along the way. We stop for any good birds on the main road and take a lunch break at the Bruman Bridge. At Tendaba Camp, you have 2 different creeks to explore. Kisi Bolon possibly holding Goliath Heron, Great White Egret, Little Egret, Brown-necked Parrot, White-backed Night Heron, Spur-winged Goose and many more. Tunku Creek could produce Martial Eagle, Ground Hornbill, Mosque Swallow, Purple Heron, Hammerkop, Blue-breasted Kingfisher, Malachite Kingfisher, Senegal Long-tailed Parakeet, Pin-tailed Whydah, Cut-throat Finch and Grey-headed Kingfisher. 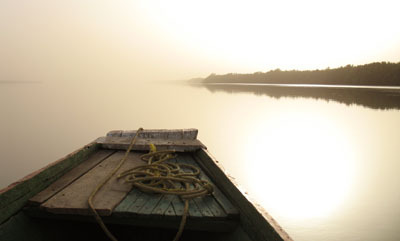 There are plenty of amazing sights and sounds in The Gambia as well as an abundance of rare species. 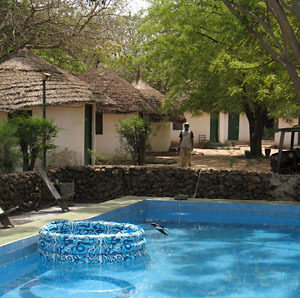 Tendaba Camp is a very friendly and well run riverside oasis. We stay overnight at Tendaba Camp, and after breakfast drive on toward Basse. The first stop is at Fulabanta, a small village where we look at Marabou stork nests and further on at Bansang gravel pit. There you can see Red-throated Bee Eater and many more. 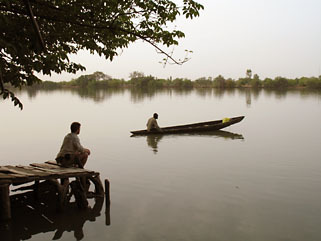 Then on to Basse, where we spend a further night and here you can see lots of Gambian delights, such as Egyptian Plover at the jetty, Carmine Bee-eater, and Black-bellied Bustards in the rice fields, plus Plovers, Starlings and possibly Swallow-tailed Kites. I can tailor your tour to exactly suit your time available, your pocket and your birding goals!